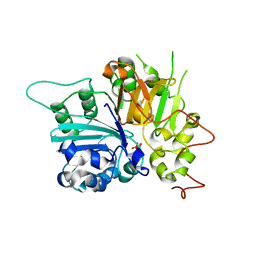 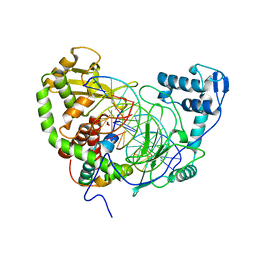 CRYSTAL STRUCTURE OF HUMAN TYROSYL-DNA PHOSPHODIESTERASE COMPLEXED WITH VANADATE, OCTAPEPTIDE KLNYYDPR, AND TETRANUCLEOTIDE AGTT. 著者 Davies, D.R., Interthal, H., Champoux, J.J., Hol, W.G. 主引用文献 Explorations of peptide and oligonucleotide binding sites of tyrosyl-DNA phosphodiesterase using vanadate complexes. 著者 Davies, D.R., Interthal, H., Champoux, J.J., Hol, W.G.J. 著者 Davies, D.R., Braam, L.M., Reznikoff, W.S., Rayment, I. 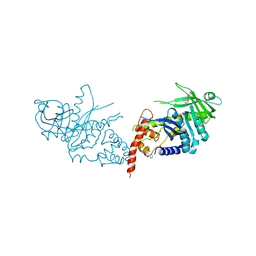 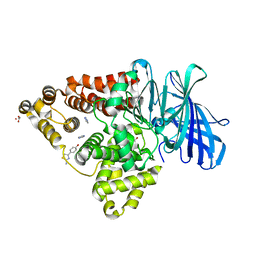 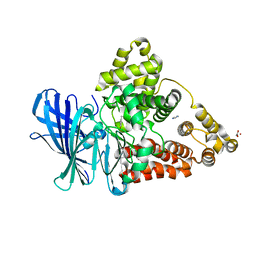 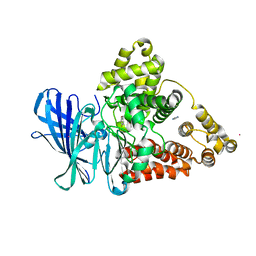 主引用文献 The three-dimensional structure of a Tn5 transposase-related protein determined to 2.9A resolution. 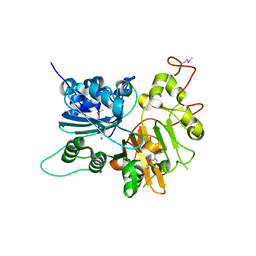 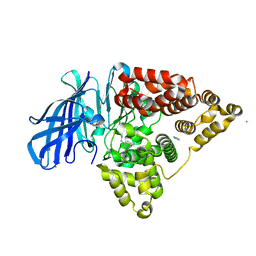 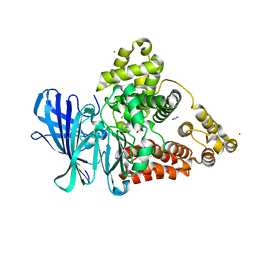 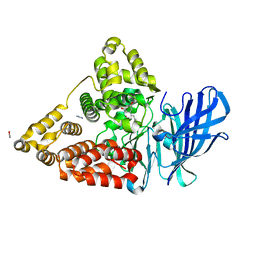 主引用文献 The crystal structure of human tyrosyl-DNA phosphodiesterase, Tdp1. 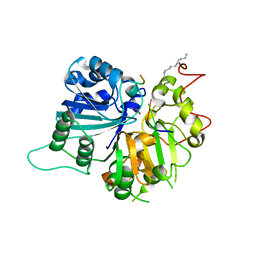 著者 Davies, D.R., Hol, W.G.J. 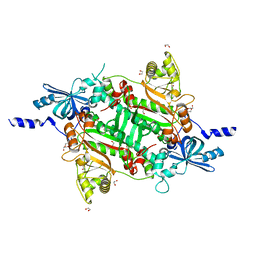 主引用文献 The Structure of the Transition State of the Heterodimeric Topoisomerase I of Leishmania donovani as a Vanadate Complex with Nicked DNA. 主引用文献 Discovery of leukotriene A4 hydrolase inhibitors using metabolomics biased fragment crystallography.